Mum of Five Staying Sane: Save Syria's Children; It Could have been Us. #SaveSyriasChildren. 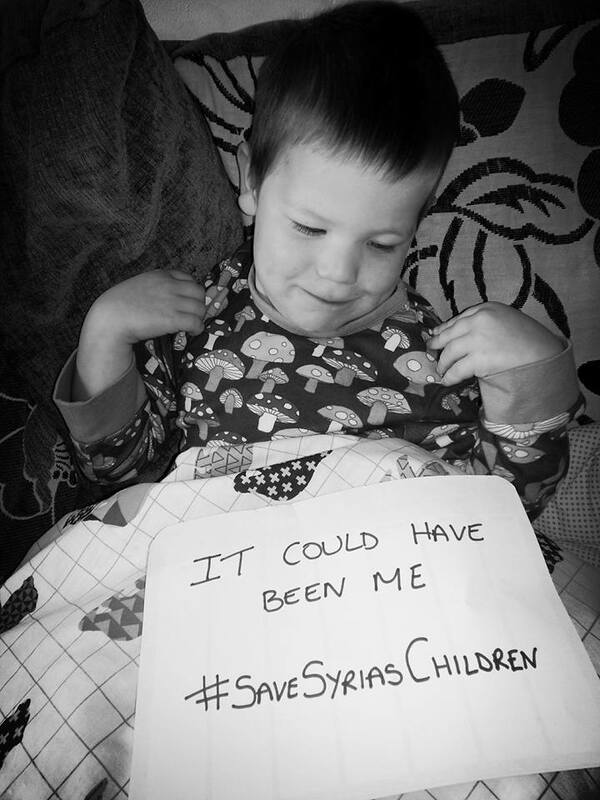 Save Syria's Children; It Could have been Us. #SaveSyriasChildren. In the words I felt compelled to write on a post the other day and which I share again here. The images we have seen recently have shocked us all. What if it had been you? You would do everything in your power to keep your family safe. These journeys aren't made on a whim or for fun. These people are fleeing a country they called home to find safety yet many do not make the journey at all. I kiss his head and hug him tight. In the same place where Aylan should be. Instead his family go through hell instead. To find a better place for their family. The country they fled and the happiness it steals. They still haven't found it and their hearts are now poor. The perilous journeys where most don't succeed. No clue at what their future is holding. What if it was your own family. Or carry your family to safety on a distant shore. It's easy to hide from the horror we see. We need to act now, dear Aylan sleep tight. Save the Children’s #SaveSyriasChildren campaign. To donate £5 please text SYRIA to 70008 or any other charity helping Syria. Please watch the Youtube video below and upload a picture of you child/children with the words 'It could have been Me'Us #SaveSyriasChildren' and spread the word across social media. Like you, I felt I had to express what this awful tragedy meant for me through a poem... it is so hard to put into words, isn't it? And yet we desperately need to. Thanks for sharing!